Who is behind this shindig? I teach new and growing real estate agents modern day sales strategies and digital marketing to help them sell more real estate with ease. My focus is getting agents to 50 deals per year! 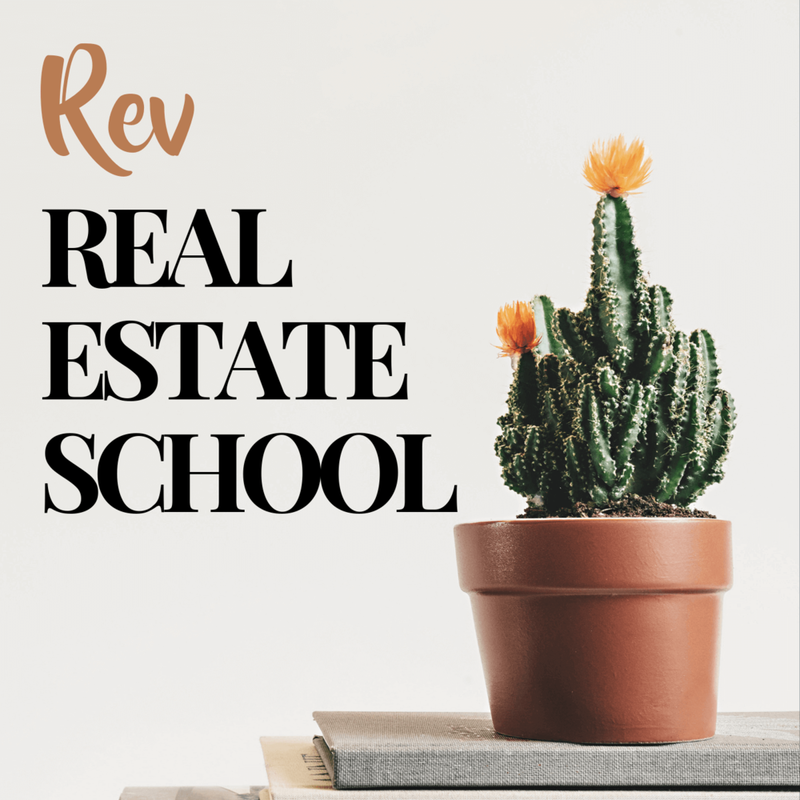 At Rev Real Estate School you will find some of the best real estate tips with a focus on marketing yourself, lead generation, building rock solid systems, and digital marketing strategies to launch your real estate career to the next level. No matter where you are starting, whether you just moved to a new city, struggling to get the next level, or the paper is still warm from your freshly printed licence, you can have a lucrative and rewarding career in real estate and Rev Real Estate School is like your digital mentor! Ready to take the 50 Deal Journey? We help you get more clients with ease and take the pain out of starting your real estate career. Are you struggling to meet new people and build your database? Does it seem easier for others because they are so well connected? Tired of the old marketing techniques and does the world of digital marketing, social media, content marketing, video, podcasting, SEO, sales funnels, and personal branding seem overwhelming? It doesn’t have to be! With a set plan, killer tools, and a clear unique selling proposition you can easily start expanding your influence in your city. We get it! At Rev Real Estate School, you will be refining your systems when it comes to your real estate tasks and prospecting efforts. With a repeatable system in place, you have a business. Looking for Daily Real Estate Inspiration and Motivation? Daily real estate tips, motivation, and inspiration served up in bite sized form. Five days a week, you are greeted with a daily topic to kick your morning off right. Real estate can be a lonely job where we don’t get as much interaction with real estate agents as we would like, that’s why we publish 5 days a week. So every work day you get a boost and a quick lesson. If you have a smartphone and a set of earbuds, you can subscribe to the show. Rev Real Estate School is available on iTunes, Stitcher, and Google Play. Daily Real Estate Tips and Tricks served up to you 5 days a week! Calgary is a welcoming and exciting city located just outside the Rocky Mountains. Calgary is home to the legendary Calgary Stampede. Giddy Up!